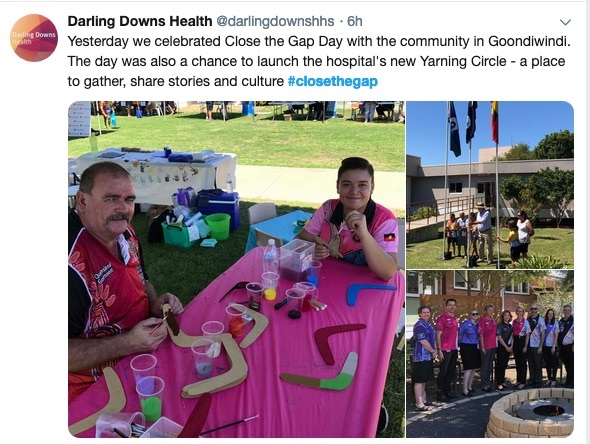 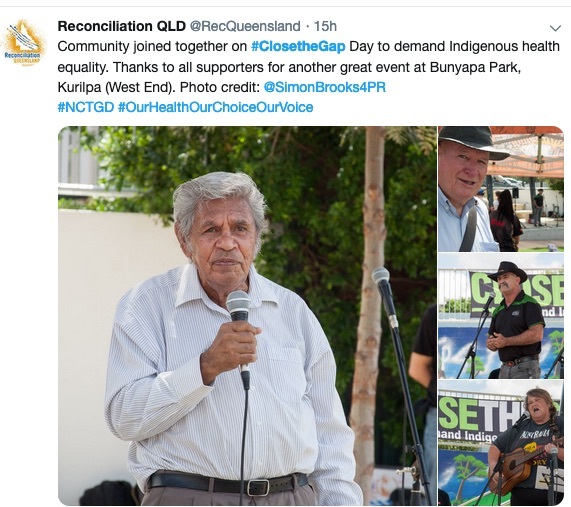 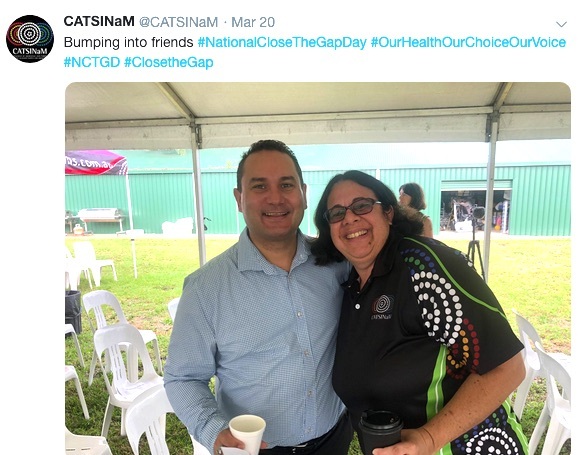 Insecure and inadequate funding is holding back efforts to improve the health of Aboriginal and Torres Strait Islander people, as is the diversion of funds to non-Indigenous organisations, according to the latest Close the Gap report. 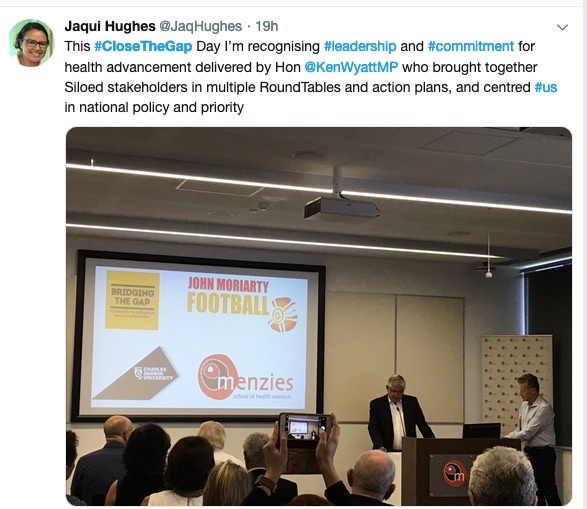 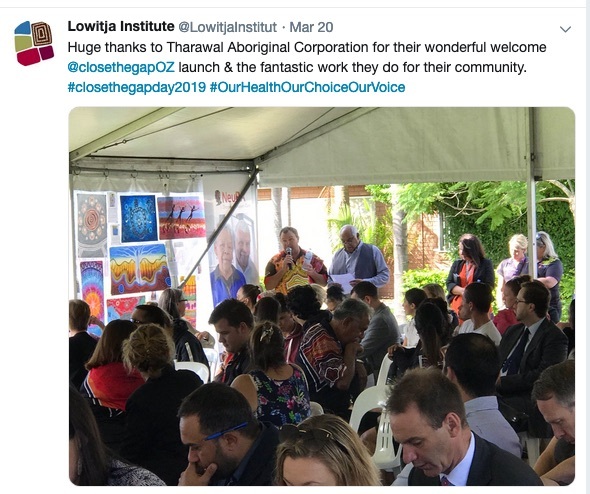 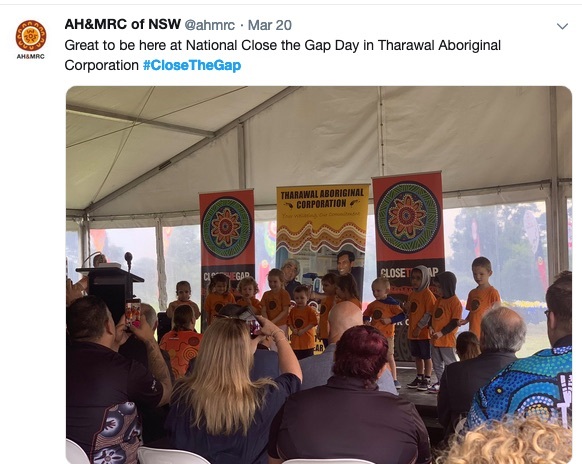 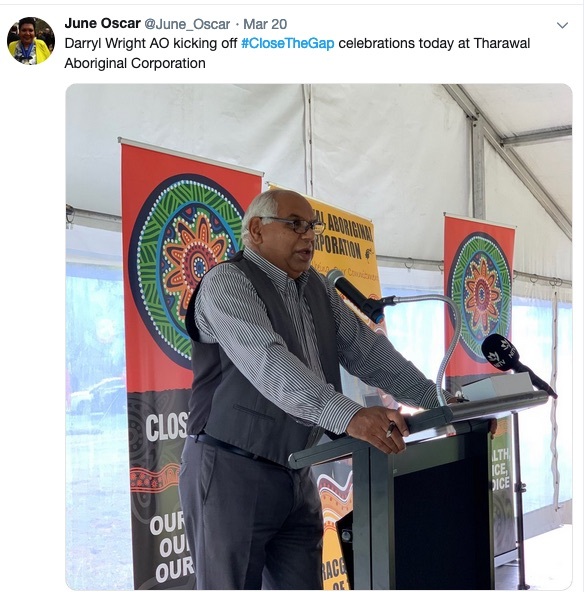 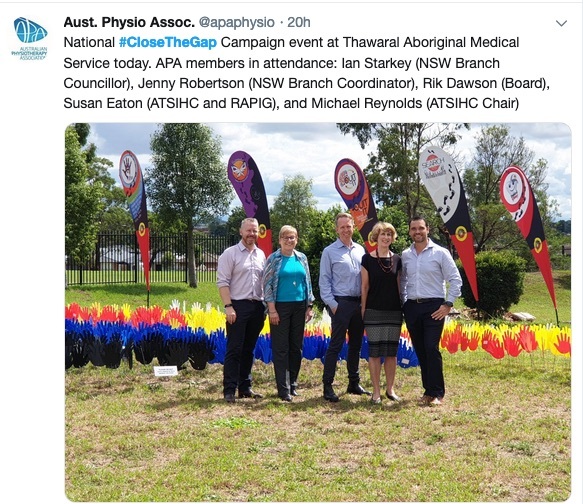 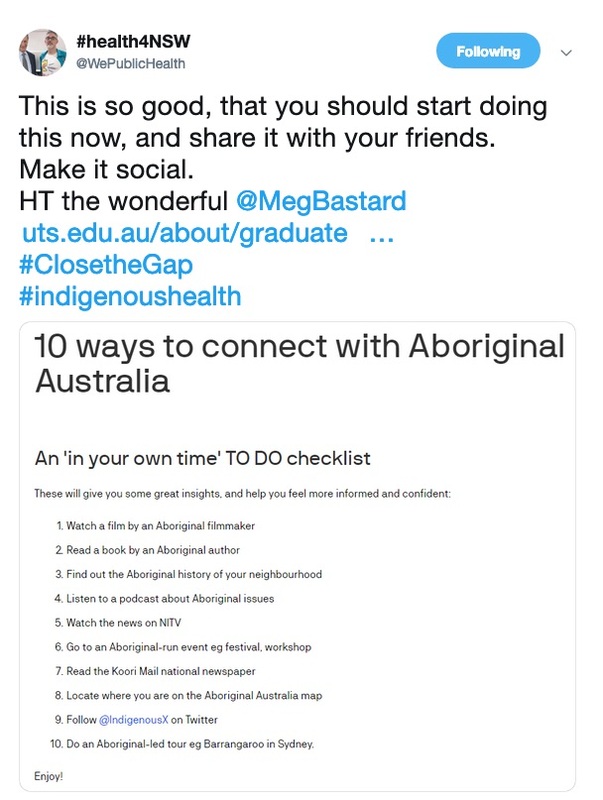 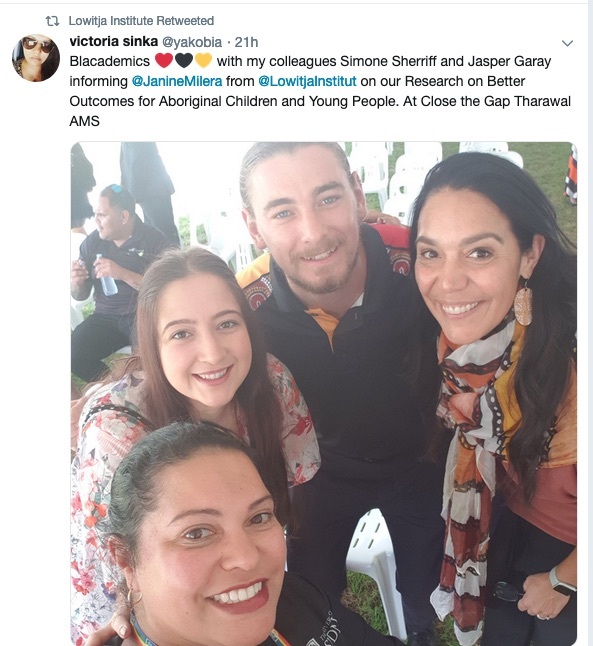 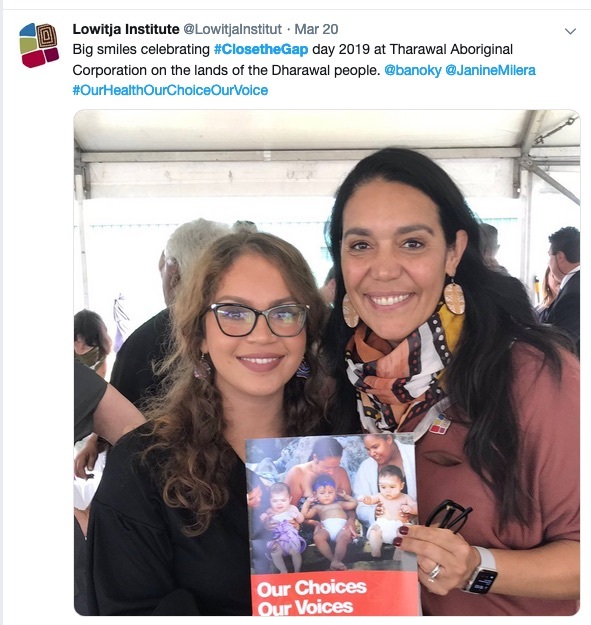 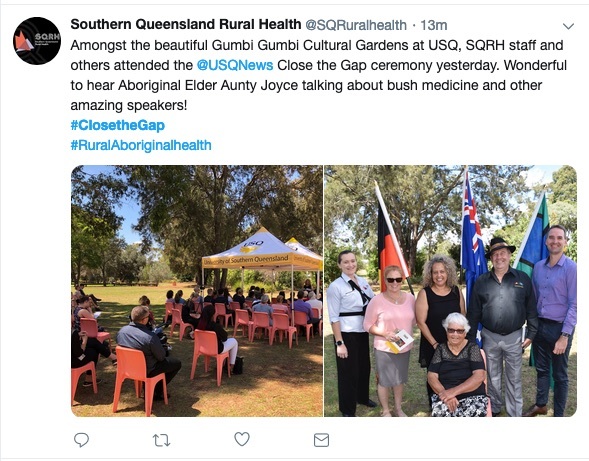 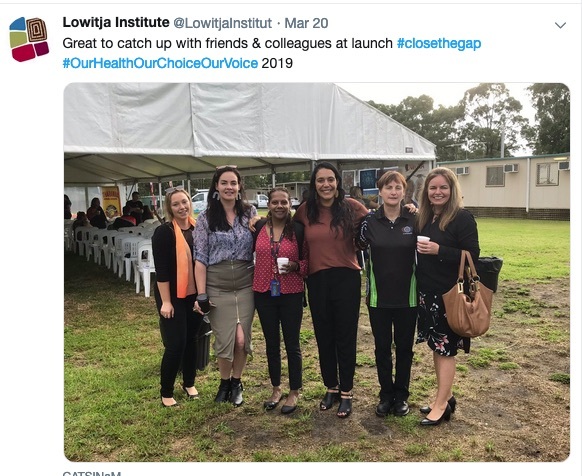 Launched this week at Tharawal Aboriginal Corporation in Sydney (see tweets and pictures below), the Close the Gap Campaign’s report this year takes a different approach to previous iterations of what has traditionally been a “shadow report” scrutinising the Closing the Gap work of governments. 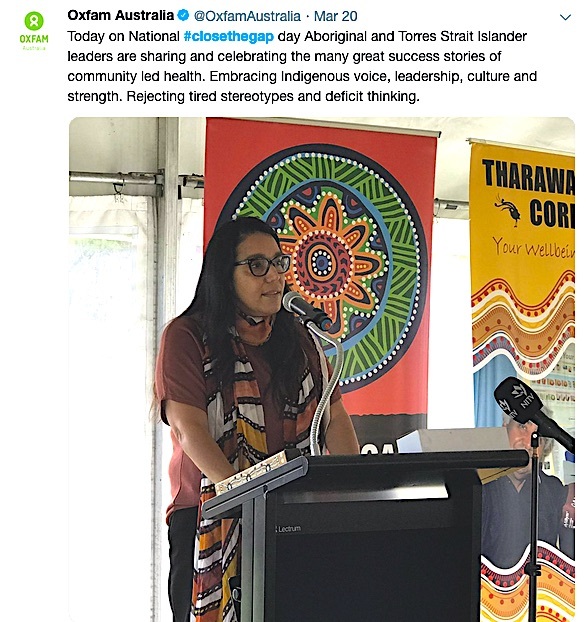 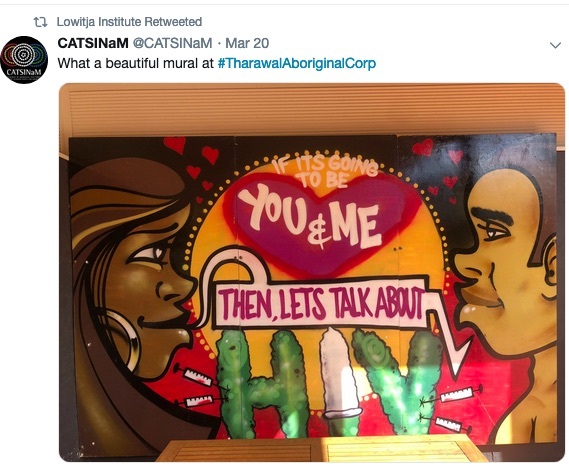 Instead, it profiles the successes and strengths of services and programs designed and led by Aboriginal and Torres Strait Islander people and organisations under three themes: targeted, needs-based primary health care; a responsive health care system; and good housing for good health. 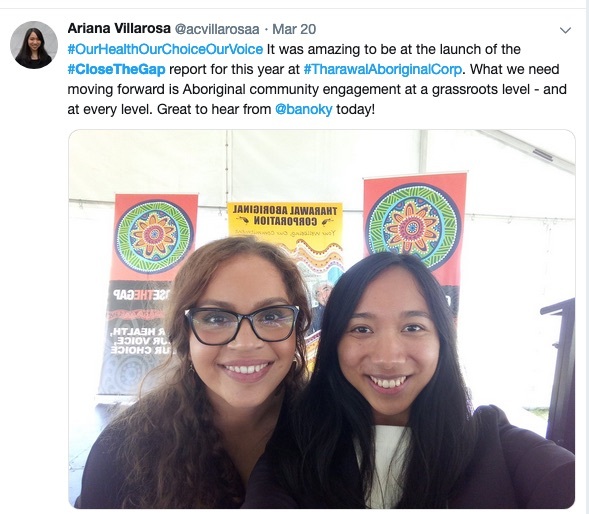 The overriding principle throughout the stories is that the success of these initiatives is based on community governance and leadership, which is imperative to the success and longevity of the programs. 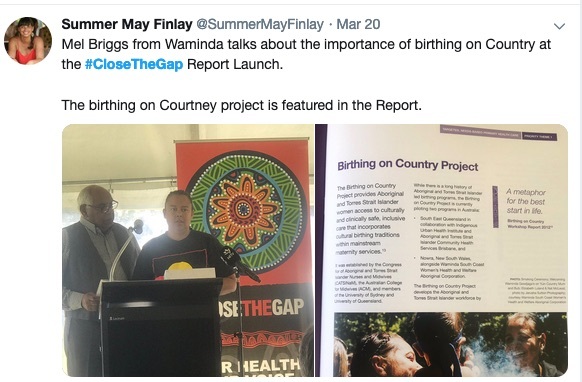 Croakey encourages readers to explore the report and initiatives such as Birthing on Country Project pilots in Queensland and NSW, the Institute for Urban Indigenous Health’s outreach service in Brisbane, an innovative NT project to increase the Aboriginal and Torres Strait Islander health workforce, and housing programs. 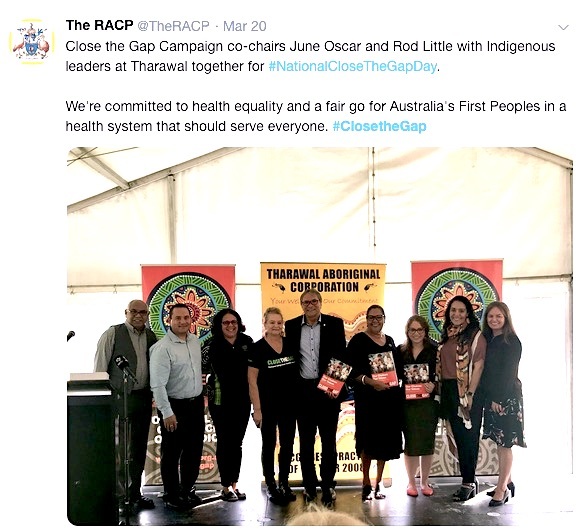 Also read articles at NITV and by the Campaign’s co-chairs, June Oscar AO and Rod Little at The Guardian. 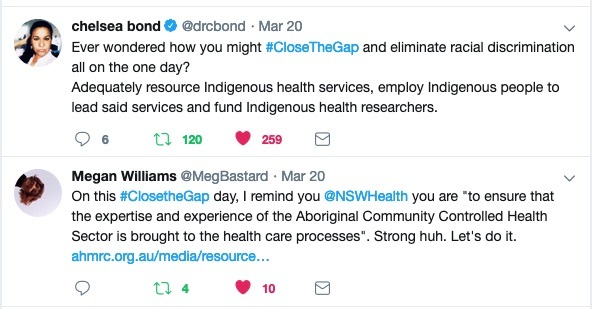 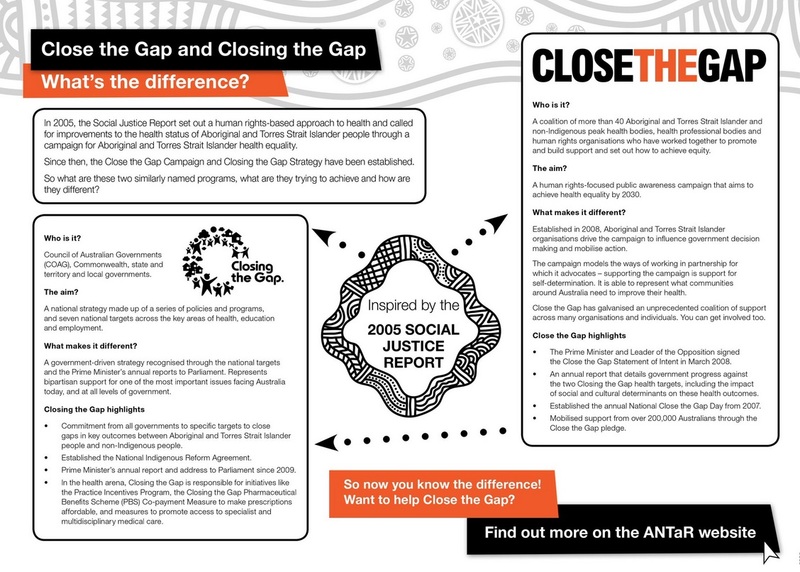 For an explanation of the important differences between the Close the Gap Campaign and the Closing the Gap initiatives of governments, see this new resource, as per the graphic below (it is clear from various public comments this week that even some health and medical organisations do not understand the difference). 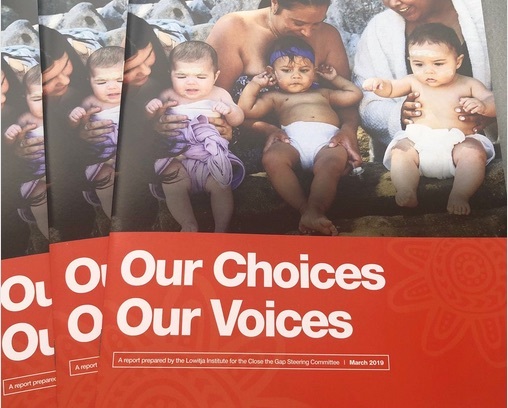 The report also makes some pointed criticisms of the failure of governments to adequately invest and support such work, noting that “funding limitations, especially where funds are not directed to services delivered and designed by Aboriginal and Torres Strait Islander people, compromise the health, wellbeing, and the lives of our peoples and communities, including our young people”. 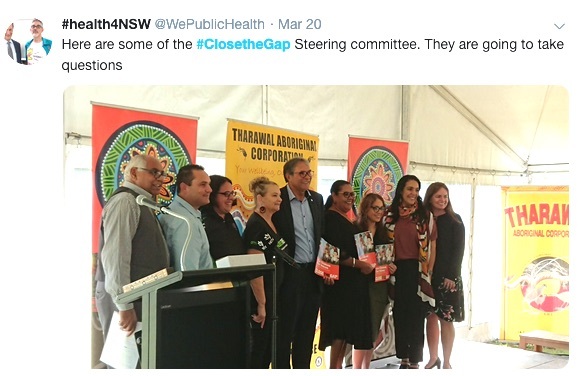 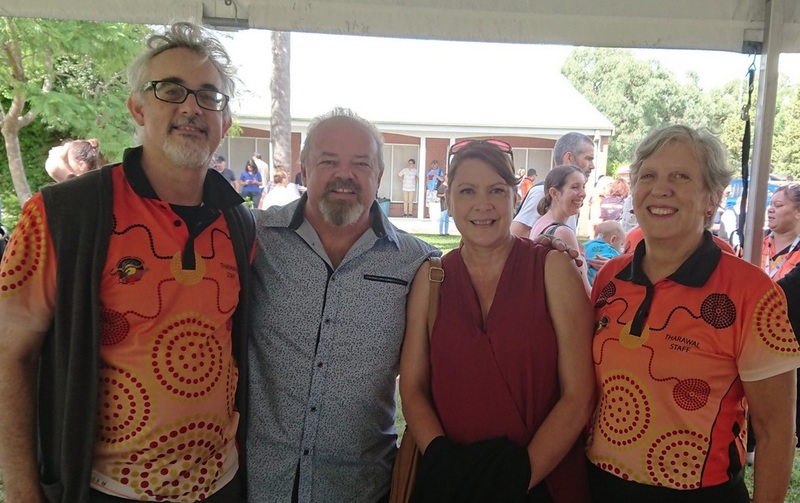 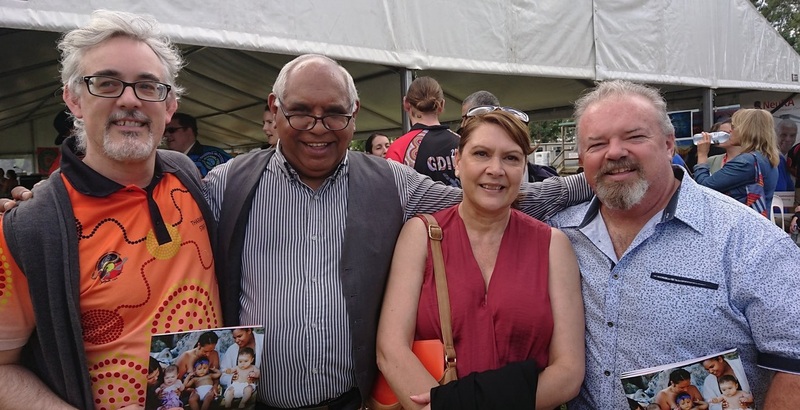 Aboriginal and Torres Strait Islander people witness the constant turnover in governments and agency arrangements, and the consequent changes in policy and program approaches – not always for the better. 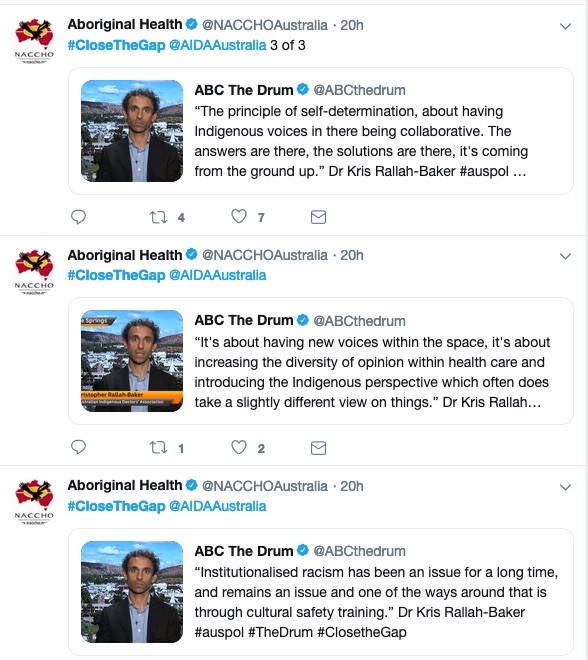 The report calls on governments to build “a robust, equitable and transparent health care system where institutional racism is acknowledged and addressed; where cultural safety training is recognised and valued as an important step in closing the gap; and where Aboriginal and Torres Strait Islander people are integrated in to health professions across workforce”. 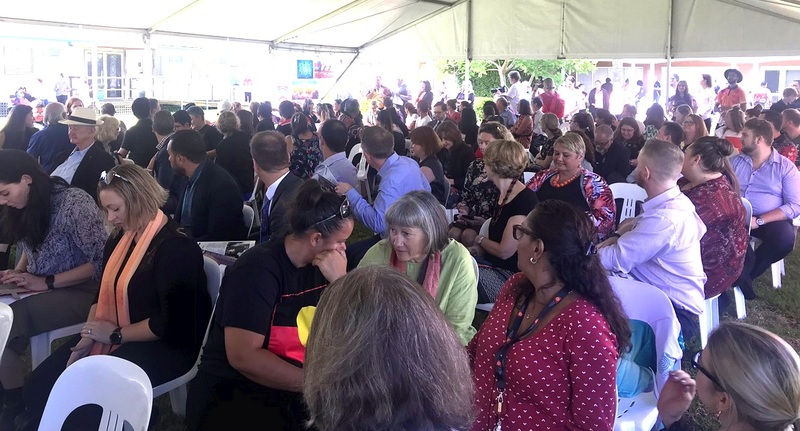 The report stresses the importance of ongoing negotiations between Aboriginal and Torres Strait Islander peak bodies and governments on the details of formal partnership arrangements between COAG and Aboriginal and Torres Strait Islander peoples. 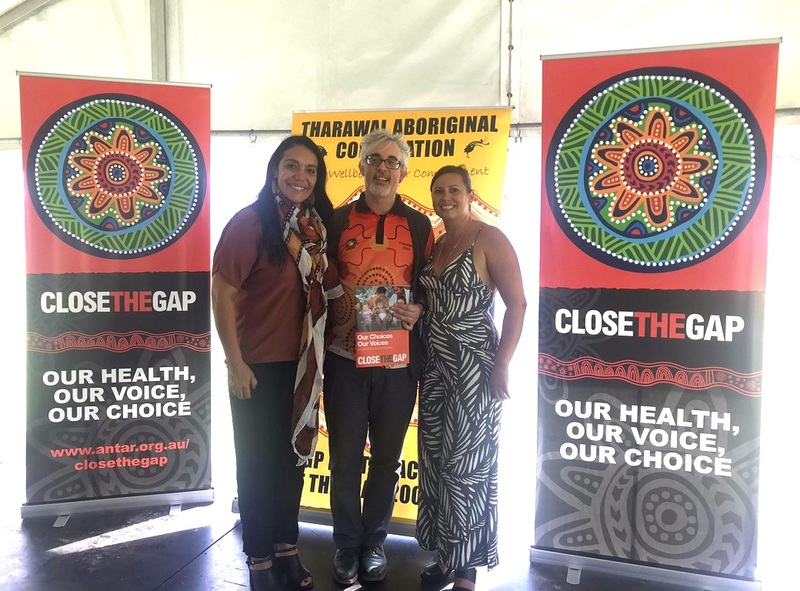 This will be an historic agreement and, if we get it right, Aboriginal and Torres Strait Islander people will have shared decision-making in the design, implementation, monitoring and review of Closing the Gap policies and programs for the first time. 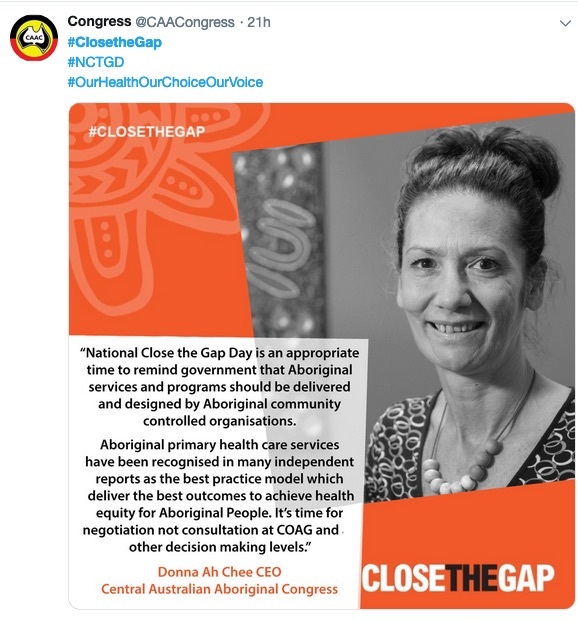 The report also reiterates the Campaign’s calls for the Federal Government to renew its commitment to the National Aboriginal and Torres Strait Islander Health Plan (2013– 2023) and its Implementation Plan, and to ensure the latter is properly resourced.